This Ultimate Golf Package was designed for 2 couples from Minneapolis who loved to golf. We had previously sent them to the top golf courses in New Zealand, and they wanted to check the best South African golf courses off their list, as well. Their Ultimate Golf Package began in the town of George in South Africa’s Garden Route. George has some of the top golf courses in South Africa, all flanked by the absolutely stunning Outeniqua Mountains. They stayed at the elegant and luxurious Fancourt Hotel. While there, they played 3 world-class golf courses, 2 of which were designed by golfing legend Gary Player. They enjoyed luxury spa treatments and delicious gourmet meals at the hotel, and took short excursions to explore more of the gorgeous Garden Route. Continuing their Ultimate Golf Package, they headed to Tsala Treetop Lodge, an exclusive luxury lodge nestled in the trees of Tsitsikamma Forest and offering magnificent views over the canopy. They enjoyed golfing at some of South Africa’s top-ranked golf courses that are in easy driving distance of Tsala Treetop Lodge. They also took nature walks through the beautiful, ancient forest, which is home to diverse flora and fauna and visited nearby Monkeyland to interact with several adorable monkey species up close. In the evenings, they enjoyed scrumptious meals in the glass-walled dining room for a unique dining experience above the trees. Next on their Ultimate Golf Package, they flew to Buhala Game Lodge, located on the border of South Africa’s Kruger National Park. They spent 4 days in this colonial-style safari lodge, which offers excellent game viewing and frequent sightings of the Big 5 of Africa. They also had a special opportunity to play at the exclusive Leopard Creek Country Club, ranked the No. 1 golf club in South Africa. This unique course offers the chance to see local wildlife while you play, as hippos and crocodiles frequent the water hazards. At last, their incredible golf vacation came to an end. They were transferred back to Johannesburg to catch their connecting flight home. Upon arrival at Cape Town International Airport, you will catch a flight to George, a beautiful town situated along the Garden Route. Once in George, take a short drive to your accommodation for the next 3 nights, the beautiful and luxurious Fancourt Hotel. The Fancourt Hotel and Country Club Estate is set at the foot of the Outeniqua Mountains in the heart of the Garden Route, surrounded by South African countryside. While at Fancourt, take advantage of the 3 world-class golf courses, 2 of which have been designed by South African golfing legend Gary Player. All the courses are renowned for their excellent year-round condition and their attention to detail. For the more serious golfer, visit the TaylorMade Performance Lab, where you can enjoy the ultimate in custom fitting. A 2-hour session will assist you in choosing the perfect clubs. You can also enjoy indulgent treatments at the health and beauty spa, or choose to be more active at the gym or on the tennis and squash courts. Day trips to surrounding cultural and natural highlights, as well as nearby beaches, can also be arranged. Leave Fancourt today and head into the Tsitsikamma Forest and the exclusive Tsala Treetop Lodge. From your room nestled in the treetops, enjoy beautiful views over the forest canopy. Indulge in a sumptuous lunch on the treetop dining deck. You can spend the afternoon relaxing in your luxury suite, exploring the surrounding forest, or heading out for nearby outdoor adventures. These next 2 days are yours to spend at your leisure. Visit top golf courses in the area, which offer spectacular sport in the midst of stunning natural landscapes. You can also choose to make the short drive to Plettenberg Bay, home to beautiful beaches and popular restaurants. Animal lovers can visit nearby elephant, monkey, bird, or large cat sanctuaries, while the more adventuruous can enjoy plenty of water sports in easy driving distance. 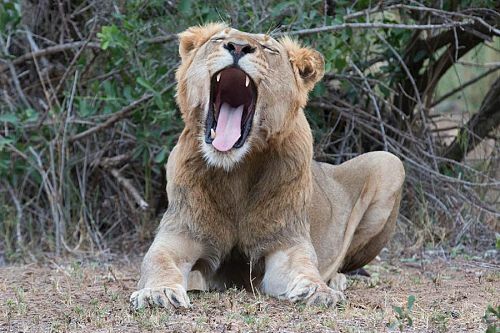 Today, you’ll fly to Kruger National Park via Johannesburg. Transfer to Buhala Game Lodge, where you will be spending the next 4 days, and settle into your luxurious, colonial-style rooms. 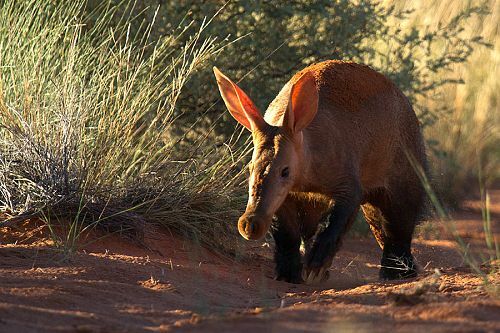 Spend the next few days at your leisure at Buhala Game Lodge. Enjoy a round of golf at the prestigious Leopard Creek Country Club, which is usually accessible to members only. 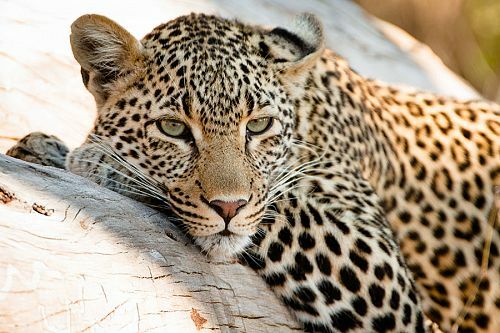 And, of course, enjoy game drives to spot the unique wildlife of the area, including the Big 5. If you wish to relax at the lodge, you can still see plenty of hippos, elephants, buffalo, antelopes, and more from the verandah overlooking the waterhole. Today, catch a flight back to Johannesburg, where you will begin your journey home. When golfing at the spectacular Leopard Creek, your ball isn’t the only thing you have to keep an eye out for. Many water hazards on this course contain resident hippos and crocs. Don’t go chasing after your ball if it goes in there! 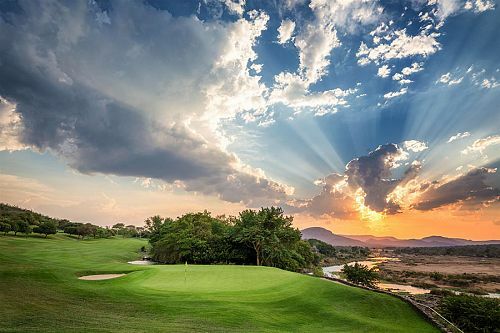 Giraffes strolling across the fairway, elephants strolling by below the 13th hole… see why Leopard Creek is South Africa’s most iconic golf course!